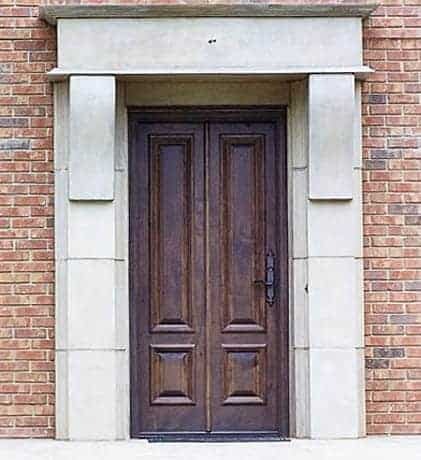 This Country French Exterior Wood Entry consists of a 36″ X 80″ Four Panel Knotty Alder Door was designed with a wide center stile with a fake astrigal to give the look of narrow double doors. The hardware is Rocky Mountain E-823. This unit is installed in Birmingham, Alabama.